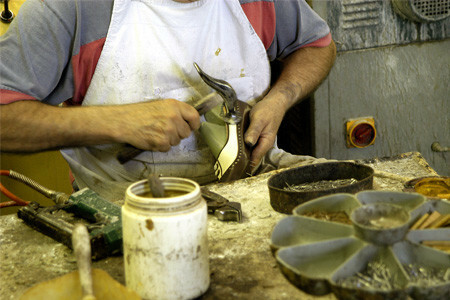 Enzo Bonafè workmanship: from planning to polishing. Our shoes are often born of the wishes or specific needs of our end client: the product is then enhanced with the utmost personalization, which starts with the planning and shaping phases. 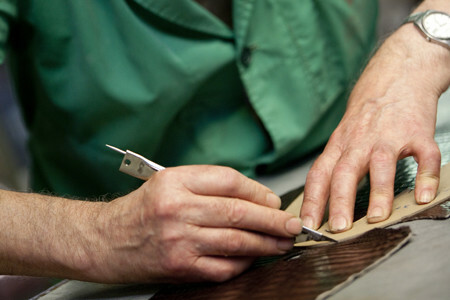 The cut of the vamp is done exclusively by hand, to ensure that only the best leather is chosen for a specific model. 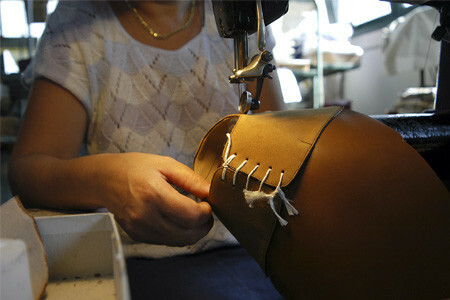 Each pair of our vamps is crafted from beginning to end by a single person. This guarantees a precise and accurate semi-finished product, perfect even in the smallest details, visible and not. 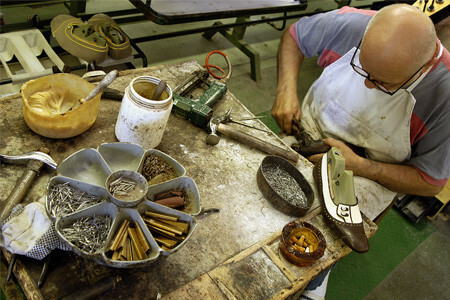 The shoe, literally, “takes shape.” This is mostly done by hand, with pliers, hammer and nails, just like the handmade tradition demands. 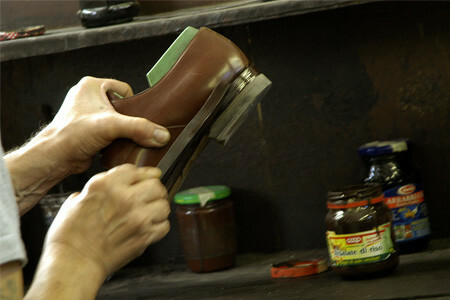 The machinery helps the artisans somewhat. 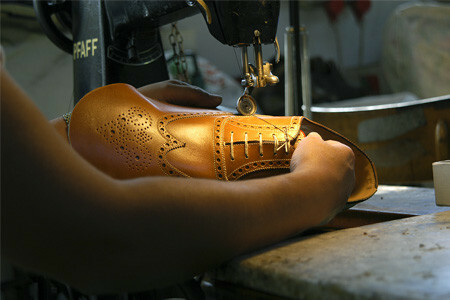 It can’t however be a substitute in any way for the taste and the expertise of workers with decades of experience. A very specific operation, perhaps not used in “modern” footwear. 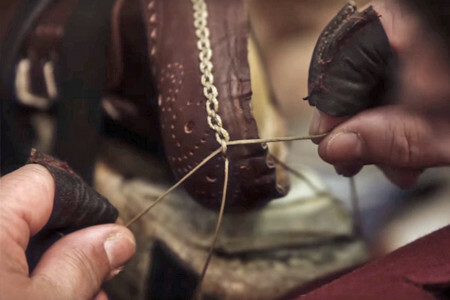 Nevertheless, an essential step for us, in order to give the shoe the right “edge” and to get the vamp to fit perfectly on the last. 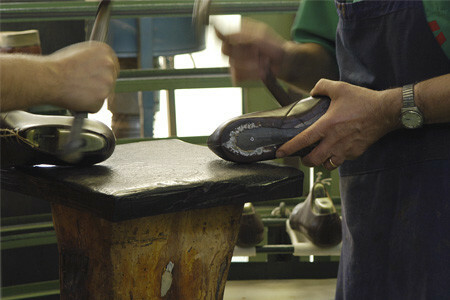 The only tool used by the artisan, in this instance, is the hammer. 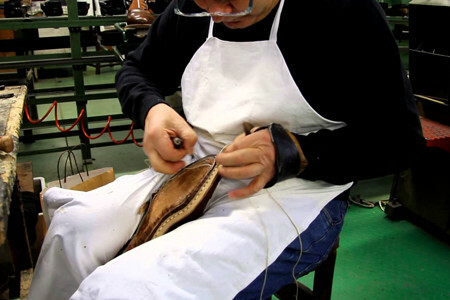 Before and after the stitching of the sole, many tasks are necessary to bring to completion the creation of a reliable and comfortable shoe. 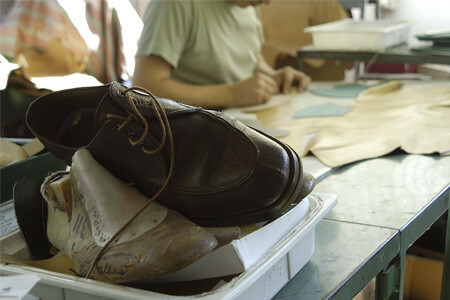 They are very specific tasks, crucial in making the product unmistakably unique. Another task that can only be undertaken by expert craftsmen with a discerning eye. 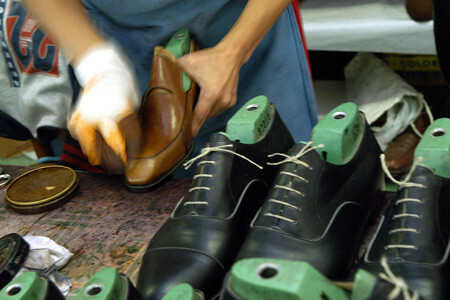 The coloration and polishing of the sole and the heel, besides beautifying the shoes, also eliminates those small defects that are present in a material like leather. All our shoes are polished on the lasts by using only the best creams: no sprays or polishes cover the beauty of the leather used. 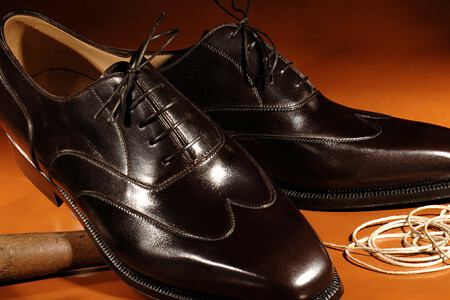 The final result is a clean shoe that shines naturally. It does not matter how long it takes to achieve this goal.